NAMB (formerly National Association of Mortgage Brokers), an association that represents the interests of individual mortgage loan originators and small to mid-size mortgage businesses, today announced a rebranding that includes a new logo and marketing campaign. NAMB’s new brand identity emphasizes the diversity of its member base, which includes individual loan originators and small and midsize mortgage origination businesses of all kinds-brokers, bankers and correspondent lenders. 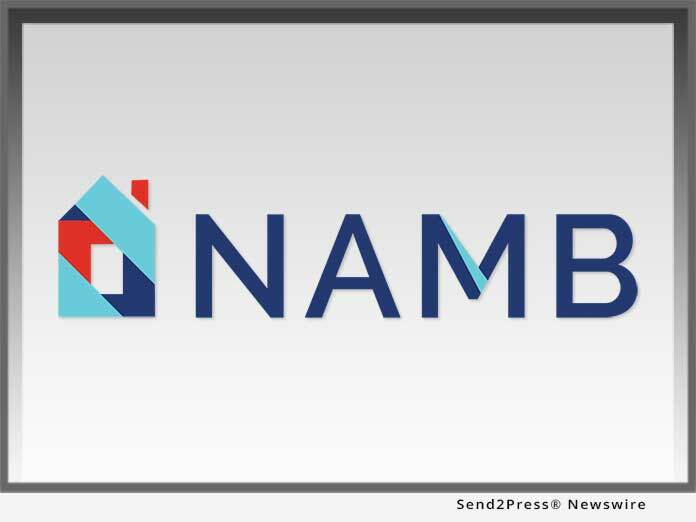 WASHINGTON, D.C. /Mortgage and Finance News/ — NAMB, an association that represents the interests of individual mortgage loan originators and small to mid-size mortgage businesses, today announced a rebranding that includes a new logo and marketing campaign. NAMB’s new brand identity emphasizes the diversity of its member base, which includes individual loan originators and small and midsize mortgage origination businesses of all kinds-brokers, bankers and correspondent lenders. NAMB’s new logo depicts incorporates a graphic of a house divided into five segments, which represent the five regions of the country that align with NAMB’s bylaws and member representation. Its marketing campaign reinforces NAMB’s emphasis on each member’s individuality and freedom to define its own business and focus. NAMB was established in 1973 as the National Association of Mortgage Brokers, and later changed its name to NAMB – the National Association of Mortgage Professionals before this rebrand shortened the organization’s name to simply NAMB. NAMB is the largest mortgage-related individual member-based organization in the U.S.
NAMB has been representing the interests of small mortgage businesses, mortgage loan originators and their clients since 1973. The organization represents loan originators in all 50 states and the District of Columbia, and supports its members through initiatives and opportunities that help increase productivity and lower business costs, such as education, training and advocacy. NAMB offers rigorous certification programs that support the highest levels of professional knowledge and education. Its lobbying and advocacy efforts focus on national and state issues.